Mahindra Tractors are the world’s number one selling tractor by volume. The Mahindra brand is renowned for making small work of even the biggest jobs. Mahindra Tractors are tough, dependable and recognised all over the world. The tractors are designed with a focus on delivering just what you require without over complicating design, to excel at the task at hand. 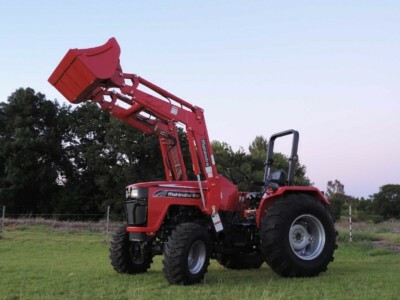 The 4025 is the perfect tractor for general maintenance and orchard applications. With 41HP this model is one of the heaviest and most rugged tractors in its category. Inquire About Our Mahinda Tractors Today. Let us help you find your perfect model today.